The divide between Vancouver west and East Vancouver--designated as those neighborhoods west or east of Main Street--was once very pronounced. Vancouver west was the more expensive area, the people perceived as hip-and-trendy in a yuppie, Lululemon way, while East Van was said to be home to the arty types, and, once upon a time, the less well off. As housing costs throughout Vancouver have risen--it takes over $1 million to buy a single-family home even east of Main--these stereotypes are changing, and nowhere is that change more obvious than in Mount Pleasant. Today's Mount Pleasant--especially the SoMa district (see below)--is one of Vancouver's hottest neighborhoods. Though still cheaper than Kitsilano or Yaletown, Mount Pleasant provides fast access to downtown Vancouver, access to both the Canada Line (on Cambie Street) and SkyTrain, and a growing number of unique bars and restaurants. Mount Pleasant is situated southeast of downtown Vancouver. It's located between Cambie Street to the west and Clark Drive to the east, 2nd Avenue to the north and 16th Avenue and Kingsway to the south. Just as an area within the Fairview neighborhood has been re-branded as South Granville, parts of Mount Pleasant are often referred to as SoMa or South Main. SoMa refers directly to the area around Main Street; it begins, roughly, around 6th Avenue and extends south into Riley Park, as far as 33rd Avenue. When looking for housing and apartments in Mount Pleasant, include SoMa in your search terms, especially if you want to live near Main Street. If you live in Mount Pleasant, most of your dining and nightlife will be spent on Main Street, the commercial center of the neighborhood. From roughly E 6th Avenue to E 33rd Avenue, Main Street is packed with unique cafes, restaurants, bars, and pubs. Favorite spots include the vegetarian Foundation, the downtown-style Cascade Room, the live-music Main on Main, and the Five Point Pub. One of the biggest changes to Mount Pleasant / South Main is the emerging brewery scene; craft breweries are popping up all over Vancouver, but there's a large concentration of them in South Main. These are local craft and micro-breweries with tasting rooms; they're a great way to taste local beers and socialize, and some are very family-friendly. 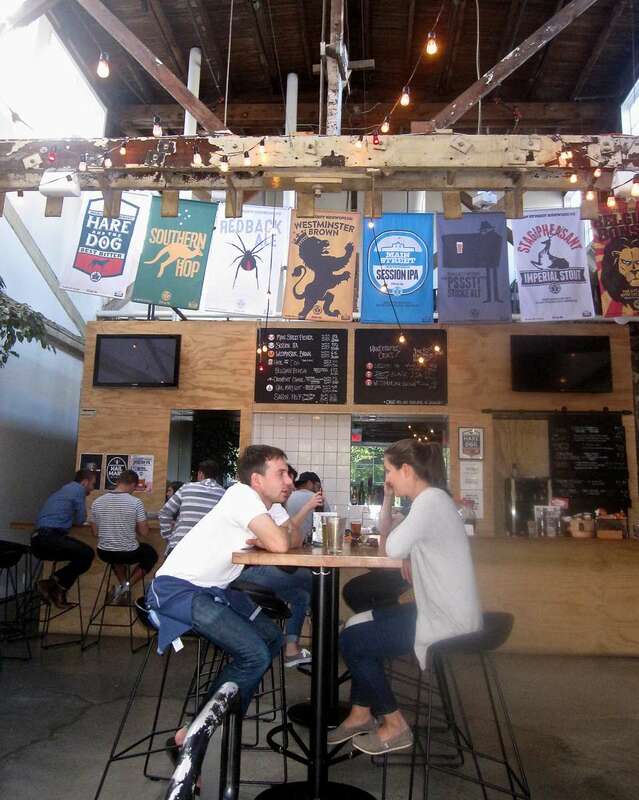 There are plenty of Vancouver breweries and tasting rooms to choose from. One Mount Pleasant park has found Instagram fame through an irreverent art installation: a portion of Guelph Park was renamed "Dude Chilling Park" by local artist Viktor Briestensky, complete with a perfectly-mimicked Vancouver Park Board sign (which people love to pose in front of).